Most people come to Japan and only visit Tokyo, but the historical city of Kyoto offers another side of Japan. 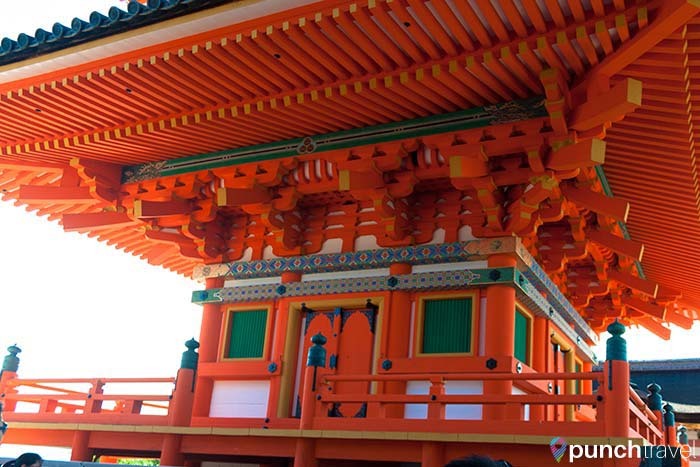 To visit Kyoto is to take a step into Japan’s past. 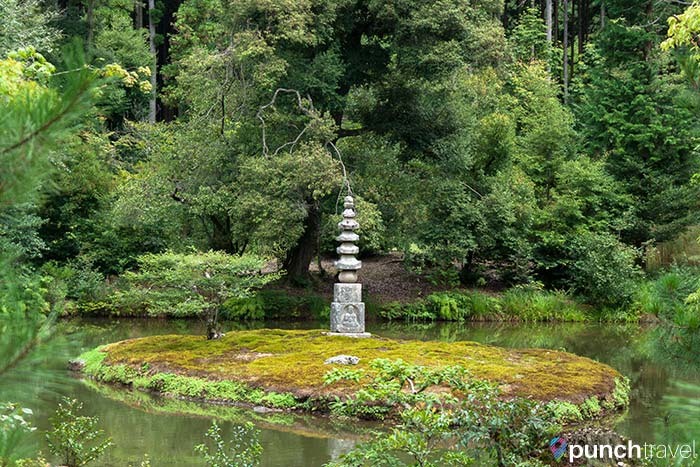 The city is filled with temples, shrines, palaces and gardens. Walk the small streets and you may see a geisha dressed in fine, traditional clothes and white makeup. 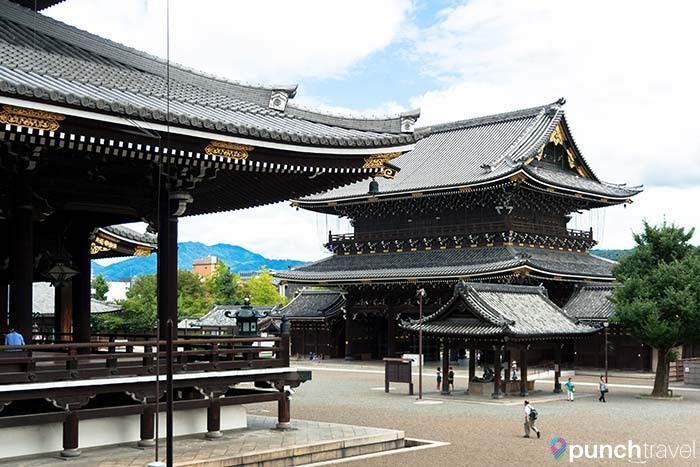 Kyoto boasts 17 UNESCO World Heritage Sites and 20% of Japan’s National Treasures. 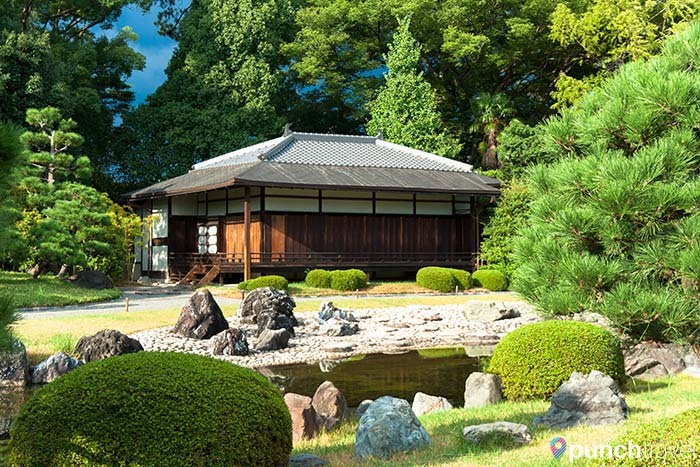 A weekend here will leave you with a sense of the rich culture and history that embodies Japan. 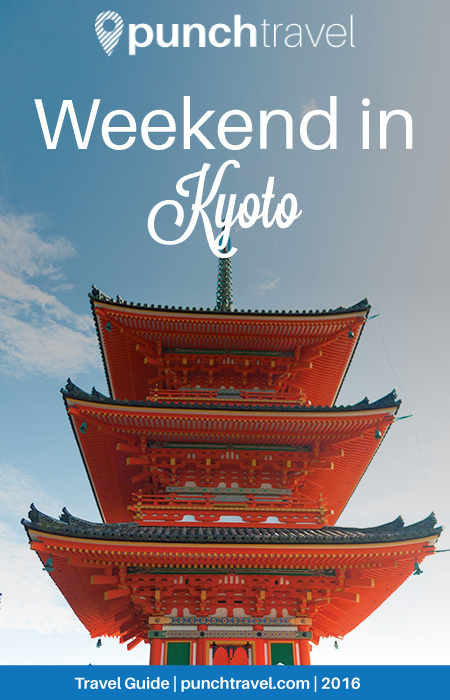 Begin your weekend in Kyoto with a stroll along the most romantic area in the city. Pontocho is the area next to the Kamo River’s western bank. As you walk along the calm river you’ll see families picnicking, couples canoodling and individuals lost in thought. 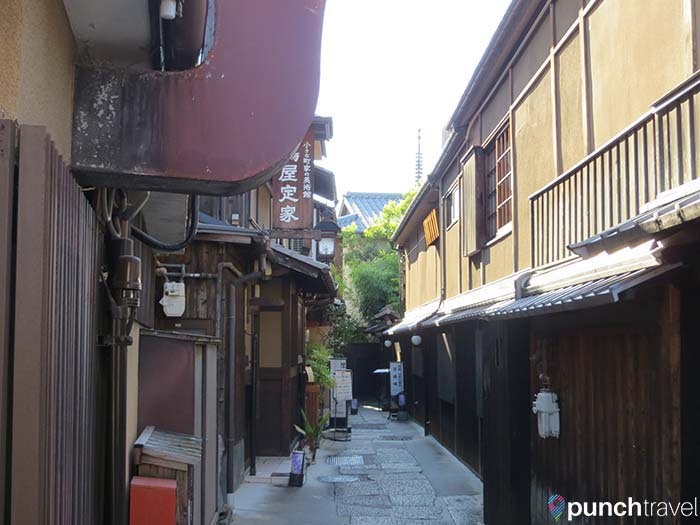 The narrow alley parallel to the river bank is Kyoto’s liveliest nightlife district. Walking through the alley, small doorways leading to grand bars and restaurants beckon passersby. From the alley, the dining room is hidden from view because the real attraction is on the other side. But walk inside and you’ll see people dining elegantly on the terrace overlooking the river and the sun setting behind the hills. If you’re looking for a rowdier setting, head one street over to Kiyamachi, another small street that is packed with bars and clubs. 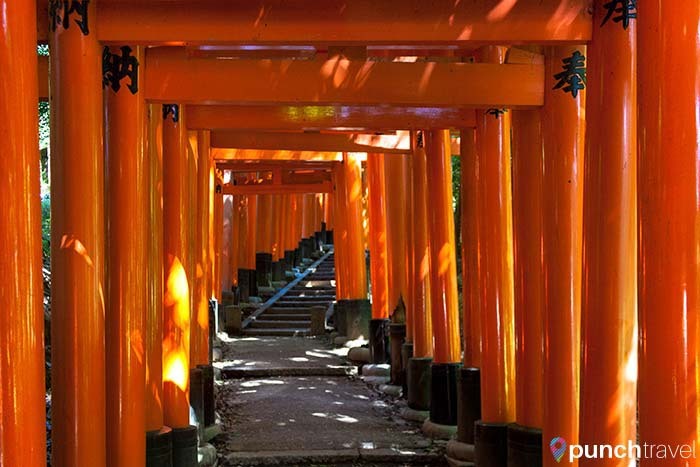 Take the local JR train two stops from Kyoto to Inari Station and visit Fushimi-Inari Shrine, one of Kyoto’s most memorable sights. 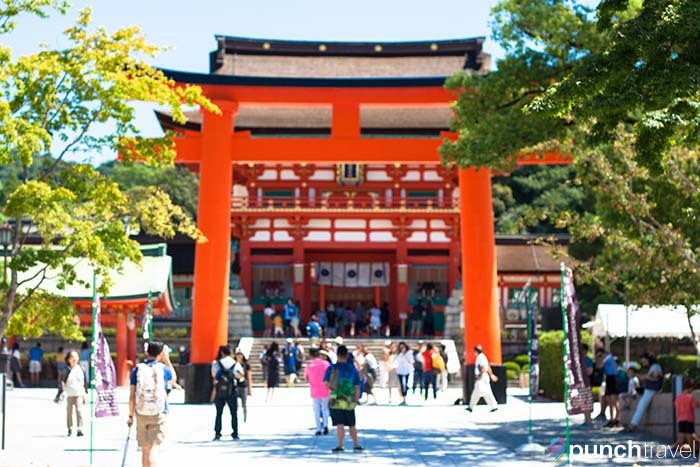 You’ll immediately recognize the bright vermillion-colored torii gates that wind from the shrine at the base to the top of Mt. Inari. Over 10,000 of these gates line the 4 kilometer pathway to the top, given by worshipers throughout the ages. 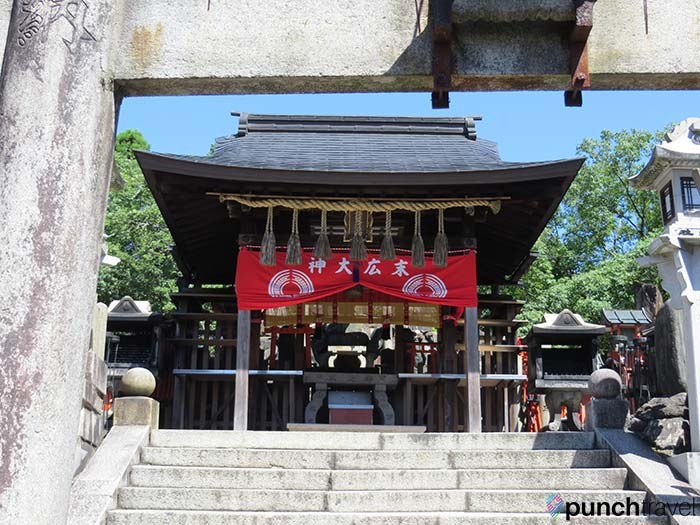 The shrine is associated with the goddess of rice; rice which was collected as a tax during the shogun era. 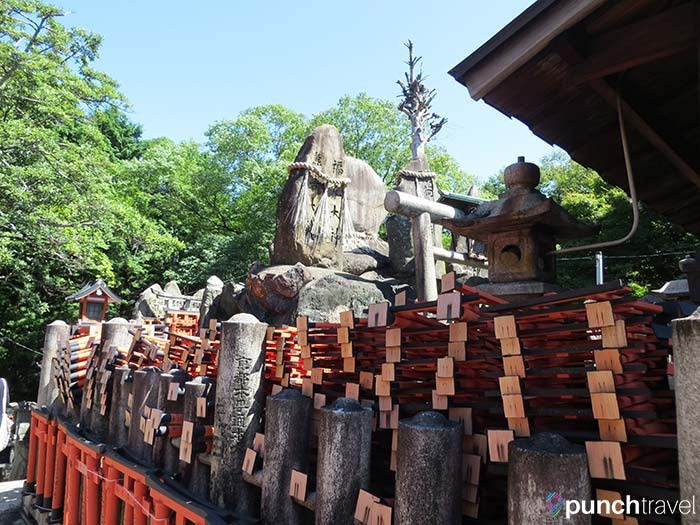 Since its origins in 711, the shrine has been popular with merchants and people seeking business success and prosperity. You’ll even see business cards pinned to small shrines along the walkway. It’s a peaceful and surreal walk through the gates. As you climb higher, the crowds start thinning out and you’ll find yourself alone in the forest. Along the way, a lookout provides a view of Kyoto on a clear day. Several places along the path offer a place to rest and eat a bowl of noodles or refreshment. 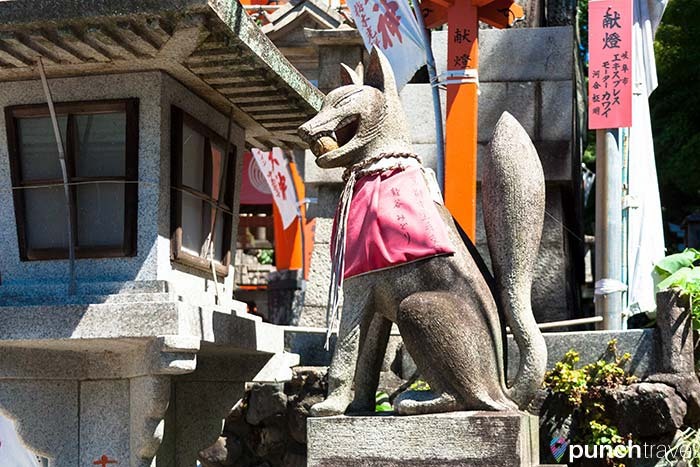 At the top of the hill is a small shrine surrounded with stone foxes, believed to be messengers between the worshiper and the deity. 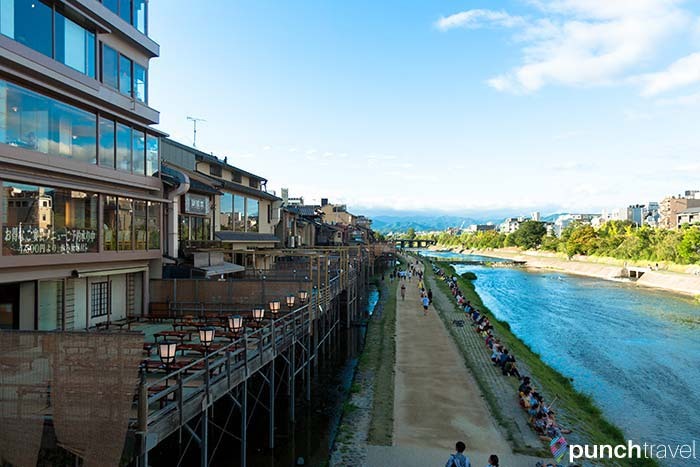 Head back to Kyoto to the old neighborhood, Higashiyama-ku. Winding through the narrow alley ways you’ll pass by small shops selling sweet rice cakes, ice cream and pickled vegetables. This area is the best place to pick up souvenirs. 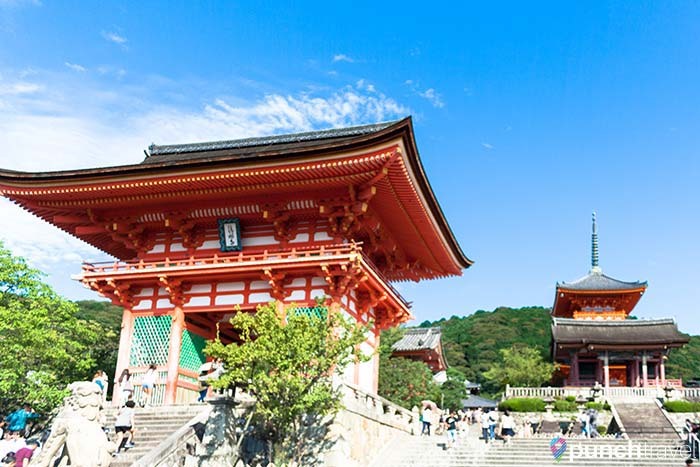 Once you reach the the top of the hill, you’ll find Kiyomizu-dera Temple, the most revered temple in Kyoto. It is built over the cliffs of Otowa Falls, and you’ll see Japanese lined up to drink from the water which supposedly ensures good health. The wooden veranda offers clear views of Kyoto below. The entrance to Kiyomizu-dera Temple. 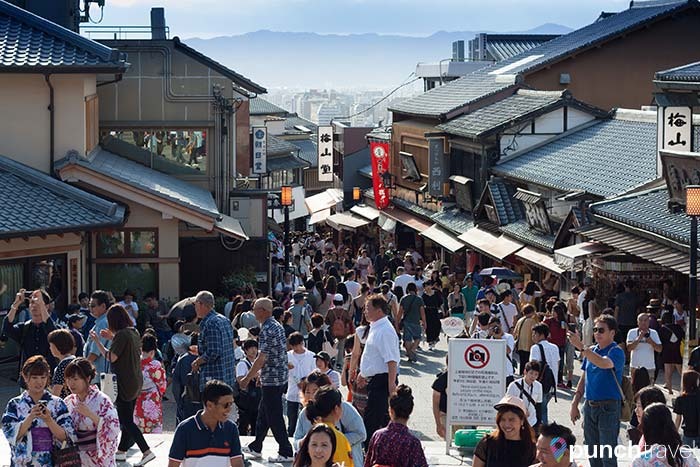 Kyoto has one foot firmly in the past, and the Gion district, east of the Kamo River, is the best place to see it firsthand. Walk the streets and you just might be able to catch a glimpse of a geisha, the female hostess tradition dating back to the 18th century. Most of the action is centered on Hanamikoji Dori. Inside plain wooden houses, drinking, conversation and business dealings accompanied by dancing, singing and music by geisha and their apprentices take place. Foreigners are not permitted, and not even Japanese will venture inside without the proper introductions. If you do want to spot a geisha, the best time to walk through the neighborhood is at early evening when they make their way to evening appointments. Alternatively, visit Gion Corner, a program of short demonstrations and performances of geisha arts like the tea ceremony, bunraku (puppetry) and gagaku (ancient court music and dance). 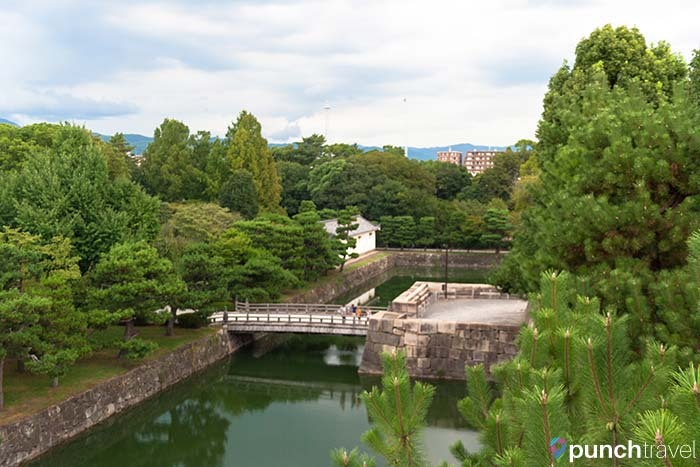 Kyoto is home to many historic buildings, and behind every corner is a castle. 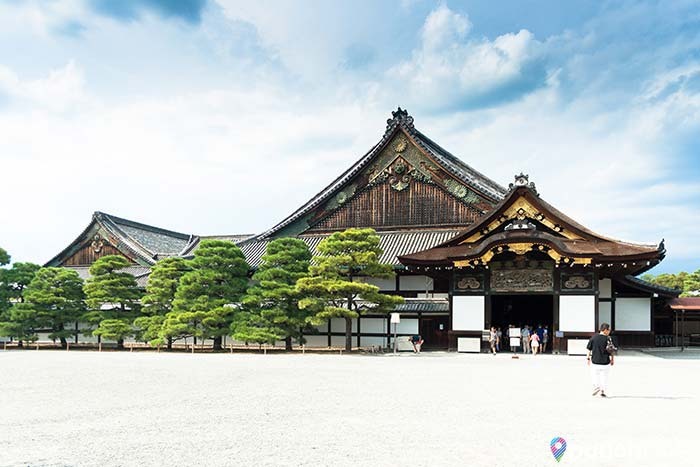 Nijo Castle dates back to 1603, and the site today is a UNESCO World Heritage Site consisting of the Ninomaru Palace and Garden, Honmaru Palace and Seiryu-en Garden. 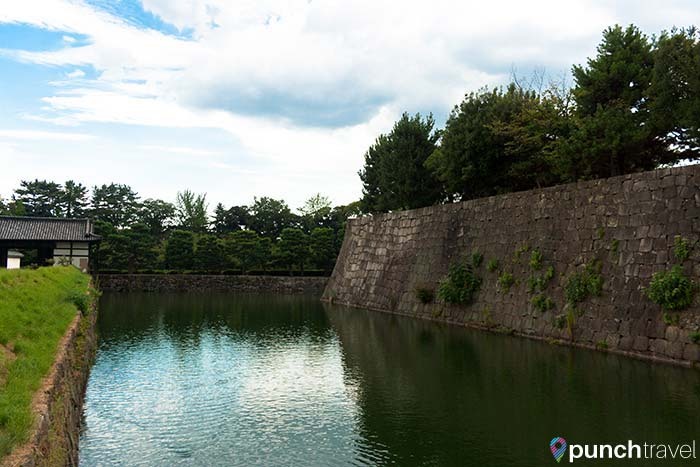 The ruins of Honmaru Palace are only open to visitors a few times a year for special occasions. You can however, climb up to the corner of one of the defense platforms and get a good view of the area. 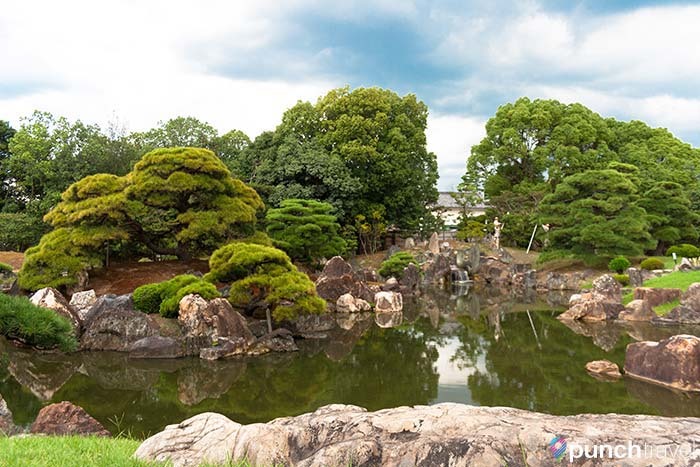 Ninomaru Palace is the main attraction at Nijo Castle. 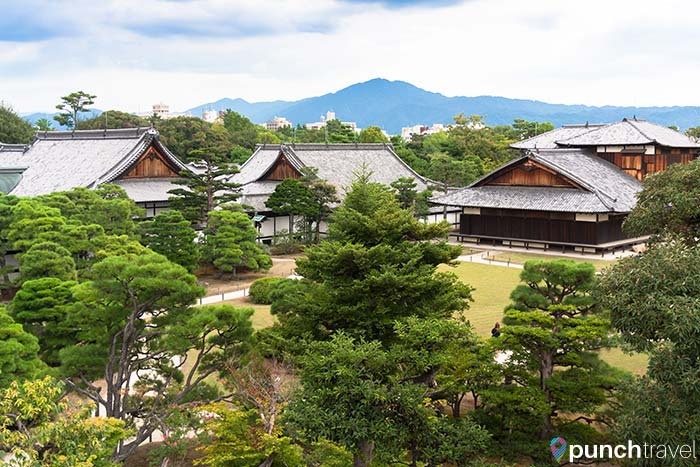 The entire palace covers 3,300 square meters and features 33 rooms and over 800 tatami mats. Take your shoes off the entrance and walk through the wooden palace corridors. As you walk, you’ll hear a distinct chirping sound. 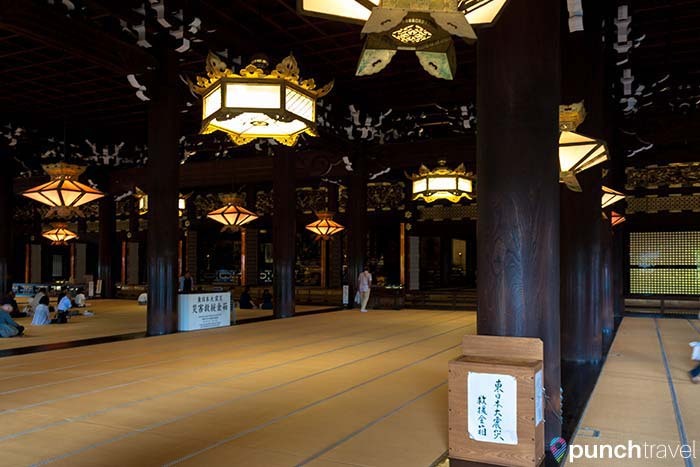 Known as the nightingale floors, this is the most unique feature of Ninomaru Palace. Used as a security measure against intruders, one can imagine ninjas creeping around the building. Another special feature of the palace are its wall paintings. Over 3,000 beautiful paintings cover the palace walls and sliding doors. Unfortunately, photographs are not permitted inside the palace. 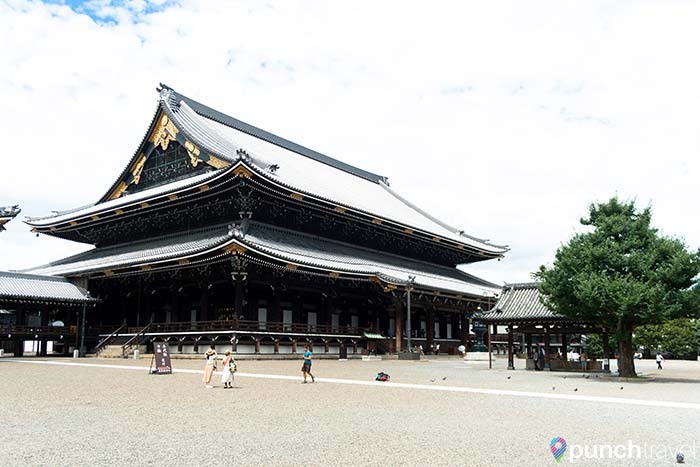 Just a few blocks from Kyoto Station is the massive Nishi and Higashi Hongan-ji Temple. The two temples are the headquarters of the two factions of the Jodo-Shin sect, one of Japan’s largest Buddhist sects. 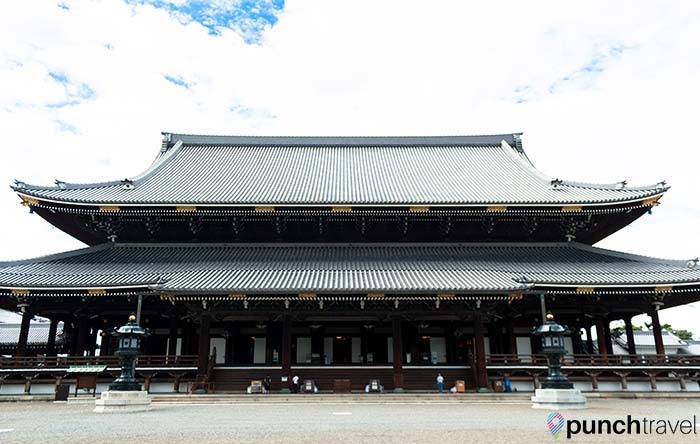 The main hall, Goeido, is Kyoto’s largest wooden structure. During the day, Buddhist monks are often there performing a religious ceremony. A few blocks north of the Honganji Temples is the Imperial Palace, the former home of the Imperial Family when Kyoto was the capital. 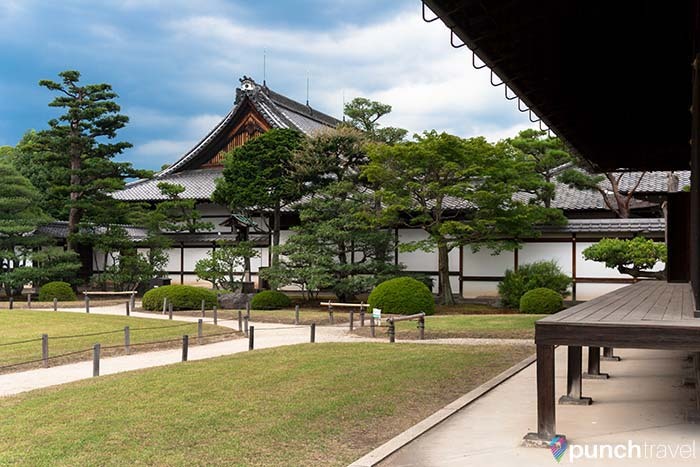 The palace is within the spacious Kyoto Imperial Park, which also contains several other historical buildings like Sento Palace, the palace for retired emperors. Entrance to the buildings is not permitted, but you can explore the grounds and park surrounding them. 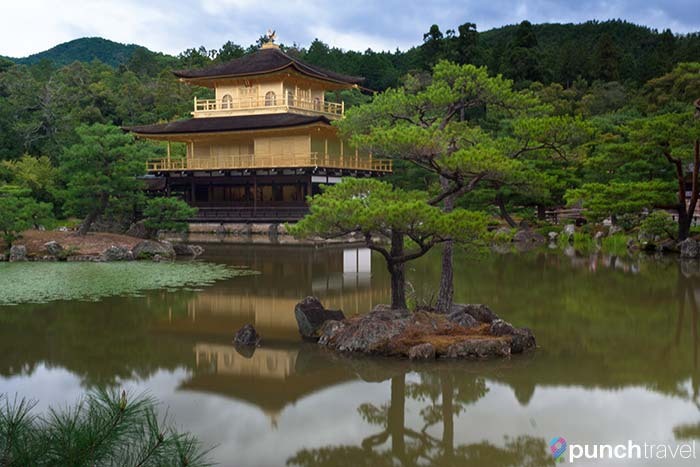 On the Western side of Kyoto is one of Kyoto’s most famous sights, Kinkakuji, the Temple of the Golden Pavilion. 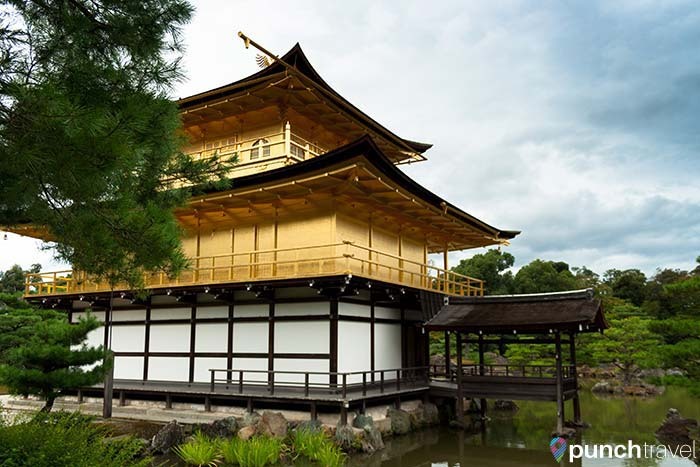 Constructed in the 1390s as a retirement villa for a prominent shogun, the most stunning feature is the three-story pavilion covered in gold leaf. On a sunny day, the pavilion shimmers against a blue sky and its reflection is captured in the calm pond. It’s a popular photo spot, and you’ll probably have to elbow your way to claim the best position. The surrounding park contains peaceful ponds and gardens.